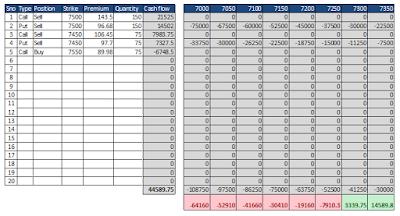 If you dabble in stock market options (derivatives), then this template may be useful for you. Just provide the quantities, premiums and strike prices for the call/put options you bought/sold and the current index value/underlying stock price, and the template shows your overall profitability. It also highlights how your profitability varies when the current index/underlying stock price moves above/below the current value. 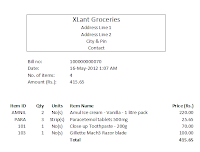 If you run a mom-n-pop store and are looking for a simple application to print invoices and monitor inventory, then this template is for you. Just enter the codes and quantities of the items purchased and the template generates a professional looking invoice with a bill number, date & time, item count and amount payable. The inventory levels are also updated after every transaction, and the items falling below a specified threshold are highlighted for re-ordering. 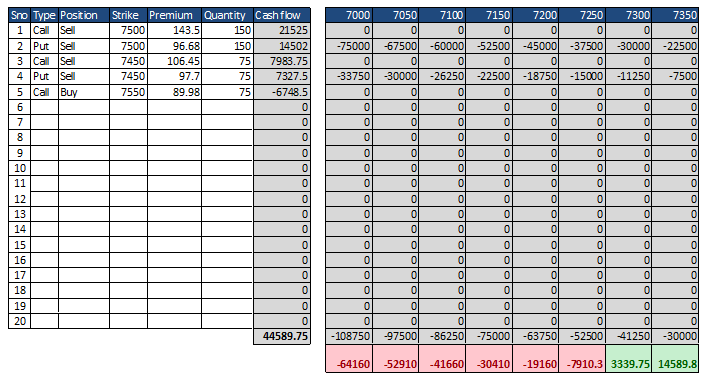 You dont need any costly software to run this, just Excel 2007 with macros enabled. This is an Excel template for conducting round robin (All-plays-All) style tennis tournaments among 10 players. The template lets you specify the date/time, location of the match and the match result. When a match result is entered in the form of set scores ( e.g., 6-3, 6-4, 7-6), the template parses it and updates the "matches played" and "matches won". It also calculates the cumulative sets & games won by each player, which can be used to identify the tournament winner in case of a tie. 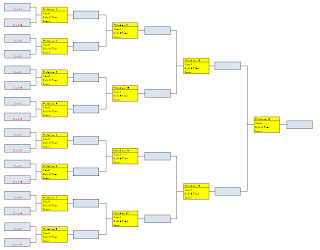 This is an Excel template for conducting knock-out style tennis tournaments among 16 players. Given the player names and seedings, the template decides who should play with whom in each of the rounds. When the match result is entered in the form of set scores ( e.g., 6-3, 6-4, 7-6), the template automatically parses it and identifies which player would progress to the next round. This is an Excel Template for finding out your "core" numerology numbers. 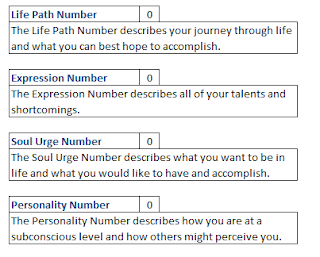 Just input your birth date and full name, and the template calculates the following - - Life Path Number, Expression Number, Soul Urge Number and Personality Number. This is your site for free, easy-to-use, Excel templates. 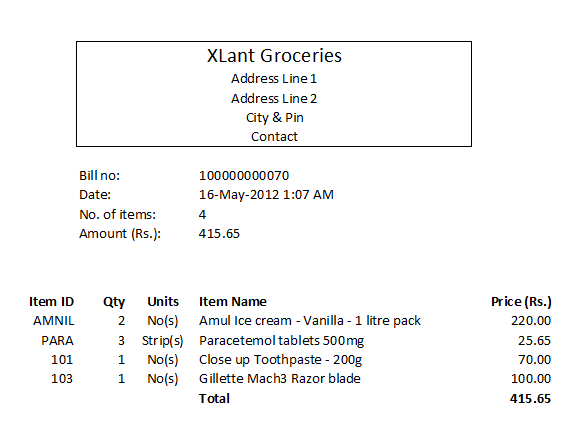 If you have any specific Excel template requirement, please feel free to get in touch with us using the "Contact" tab. Cheers.